Joie Gharrity is passionate about being of service and helping entrepreneurs and creative types stand in their Spotlight and go after their dreams. 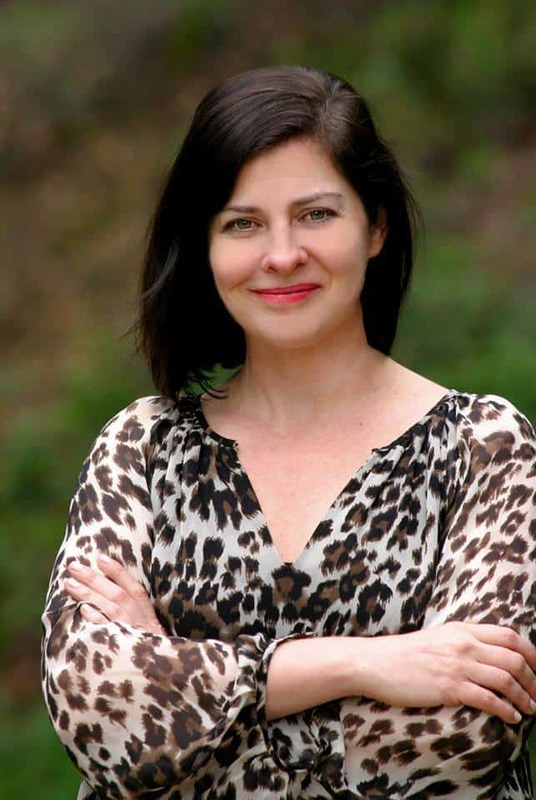 As Joie worked in the Hollywood Entertainment Industry for 15+ years, high-level mentors taught her branding and marketing techniques. 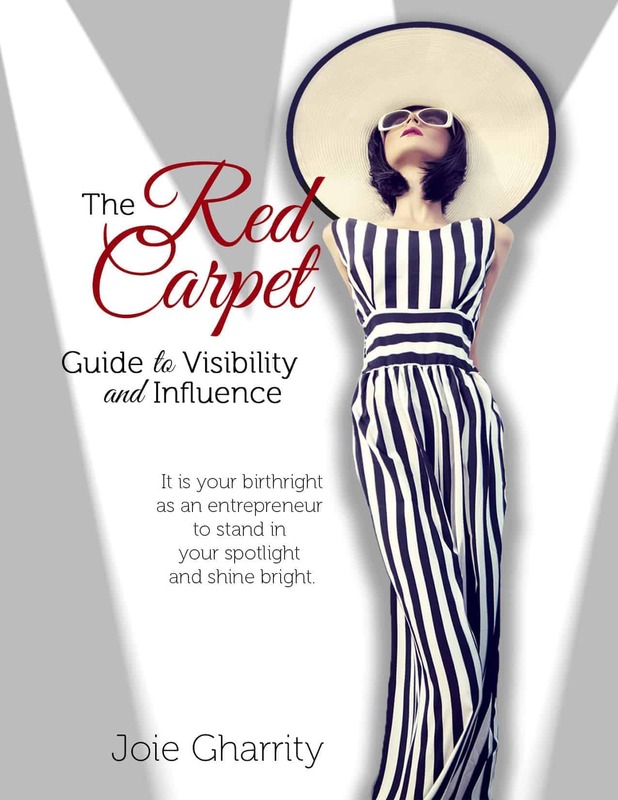 In The Red Carpet Guide to Visibility and Influence, Joie shares tangible Visibility and Influence strategies, techniques and tips. She designed the book to double as a guide for entrepreneurs to implement her branding and marketing techniques easily and quickly as well as create a business that soars high in the marketplace. 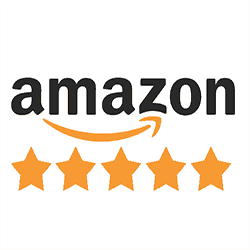 5.0 out of 5 stars Struggling to Get Noticed? I absolutely love this book! In the ever-increasing onslaught from social media, television, and what-have-you, it can be difficult to get your brand to stand out from the rest. Joie’s experience in Hollywood taught her how to get herself and her clients noticed. And she shares all of that in her book. The tasks are actionable and effective. The information is invaluable. If you want to shine a spotlight on your business, your non-profit, or yourself, you need this book. 5.0 out of 5 stars Get Ready to Shine! I love this book! Here’s why, I am an entrepreneur that’s finally at the point in my life (and career) where I know it’s time for me to go to the next level and as luck would have it, The Red Carpet Guide to Visibility is here at just the right time for me. This is a comprehensive, simple step-by-step process and that really works. It does ask us (the reader) to ‘think’, take action and be willing to accept the results. I have to admit, this is my current ‘go to’ business book, as I’ve been carrying the book in my purse, and pull it out when I think of something I need to jot down in it, and the size of the book is perfect for that sort of thing. The results to date: Being fully committed to OWNING what I do and who I AM. Already my mind has shifted around my business in a new empowered way. Joie Gharrity is a visibility genius. And now she’s written a guidebook to help the rest of us stand in our spotlights and shine bright. The book is easy to read, and overflows with tips and secrets we all can use to increase our visibility in the marketplace. The information Joie shares is not your ordinary “how to” advice. It is practical, actionable and most of all fun to implement. 5.0 out of 5 stars A Must Read For Every Entrepreneur! In keeping to the theme of the book, The Red Carpet Guide, which is based on Joie’s 15+ years of experience in Hollywood, she is clearly a SuperStar. The book is a great read and helps Entrepreneurs gain visability and influence in the market place. Joie shares very practical techniques to help you in achieving this. Throughout the book, there are exercises, so you are not left with a feeling, of how to do something. Joie makes sure as you go through the book, you come away with tangible results to increasing your visability and therefore you’re earning power. 5.0 out of 5 stars Simple, but Effective! I loved your book! It was a very easy, but effect, read. The exercises were simple but profound, and especially loved the lessons you learned and how you shared them in context with your journey working in Hollywood.Bravo! 5.o out of 5 stars Fantastic tools for advancing your business and self! Highly recommend this book. Clear, Concise and Creative. Filled with valuble information and exercises to help become the BEST in any business! Personally I am so excited to continue this journey, knowing that I now have the tools in my toolbox to “Step out of the Shadow and into the Spotlight”! Joie Gharrity Founder of 113 Branding Digital Media Studio is a Brand Director, Author, and International Speaker. She worked in the Hollywood entertainment industry for 15+ years at top companies, in film, television, original web content, and branded entertainment. She was hand-picked by the ABC Studio President to launch the first multi-media startup business for The Walt Disney Company. She works with entrepreneurs and creative types to leverage their expertise, gifts and talents with a clear strategic roadmap to paying customers and attract lucrative opportunities and financial abundance. Joie does this through a unique, tested and proven framework of digital content that gains their brand Visibility and Influence that elevates her clients to superstar status in the marketplace. 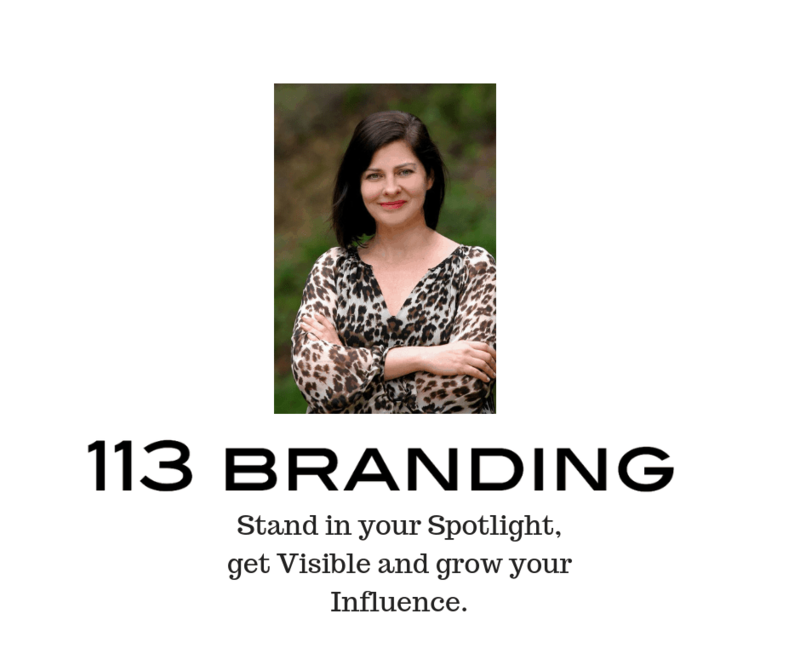 In her book The Red Carpet Guide to Visibility andInfluence, Joie shares branding strategies, techniques, tools, and tips that can be implemented easily. She is passionate about being of service and working with entrepreneurs to help them gain Superstar Visibility and Influence in the marketplace.